Republican Dan Caulkins of Decatur is running for the 101st House District, currently held by retiring state Rep. Bill Mitchell, R-Forsyth. But there’s another House district in McLean County, with no incumbent protecting it. Caulkins is a former Decatur City Council member who now serves on the Eastern Illinois University board of trustees. He’s retired now, after selling his assisted-living company two years ago. 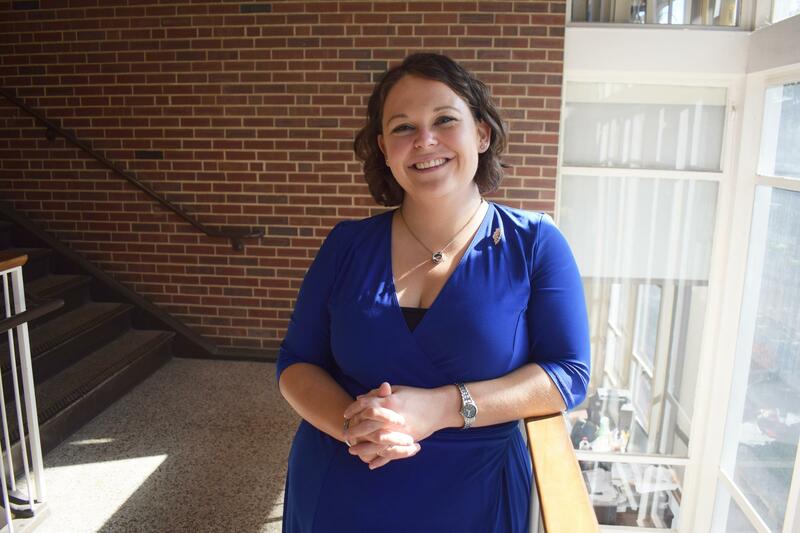 Democrat Jen McMillin will face Caulkins on Nov. 6. During an interview on GLT’s Sound Ideas, Caulkins described his top issue as fiscal restraint. Caulkins pointed to his experience at EIU as how this “starve the beast” philosophy plays out. Like other regional public universities, EIU was hard-hit by the two-year budget impasse. The school lost nearly a third of its students between 2013-2017. It laid off employees and had nearly gone through its cash reserves, Caulkins said. Caulkins said he and other university leaders “cut $40 million out of our budget in two years.” It wasn’t easy, he said. Despite that pain, Caulkins said it’s working. Enrollment is up 7 percent this fall after years of declines, including a nearly 25 percent jump in the freshman class. EIU launched several new majors and hired a new marketing firm to help recruit students. “What that’s done is enthused our administration, our faculty, our students, and our community to work hard to come together and promote that school. For our faculty to be responsive to students. And for our administration to be responsive to incoming students, which has driven up our enrollment. And as enrollment grows, guess what happens? Our income grows. As our income grows, we can now afford to do things we couldn’t before. It’s earning the money,” Caulkins said. Caulkins said he’s opposed to changing Illinois’ method for income taxation from a flat tax to a progressive, or graduated, tax rate, where your tax rate varies by income level. That change is supported by Democrat JB Pritzker and opposed by Republican incumbent Gov. Bruce Rauner. 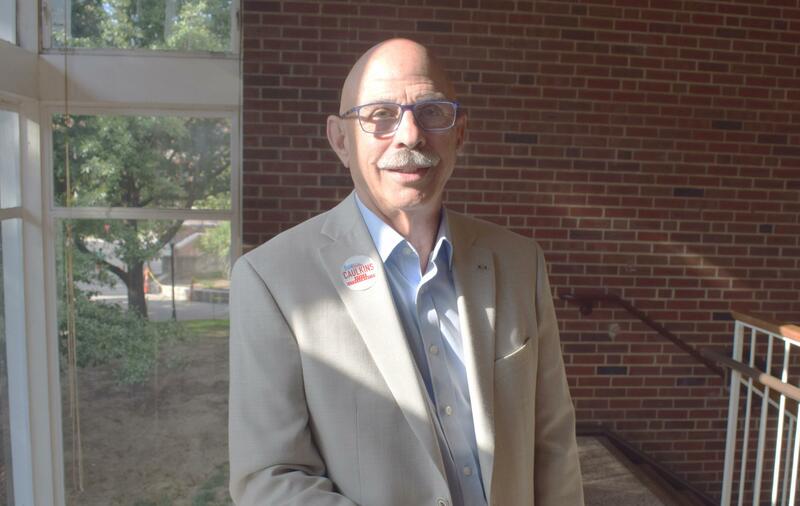 Caulkins said a progressive income tax, while aimed at the rich, would end up raising taxes on the middle class as the wealthy leave Illinois as a result. Rauner has made similar claims about the progressive income tax—claims that have been rated as false by fact-checkers at PolitiFact. Caulkins criticized the $5 billion income tax increase approved in 2017, which represented a 32 percent increase in the tax rate. 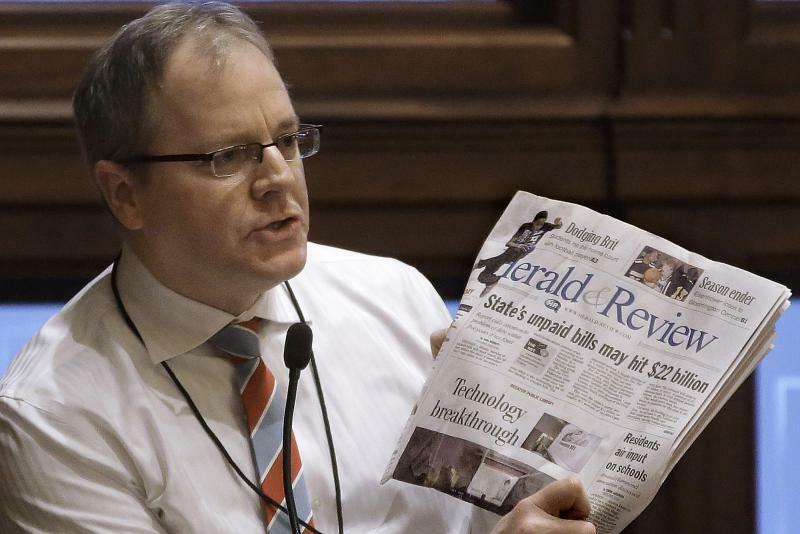 He said that tax hike did little to improve the state’s fiscal health. “And what’s happened? They still can’t balance a budget. Even with the additional revenue, our unpaid bills have gone down a little bit, our pension liability has hardly been affected, and they want to tax us more. This is a scheme that never works out,” Caulkins said. Rauner is trailing Pritzker in most polls. GLT asked Caulkins how he planned to be a productive member of the General Assembly if Pritzker wins and he’s in a Republican House minority. 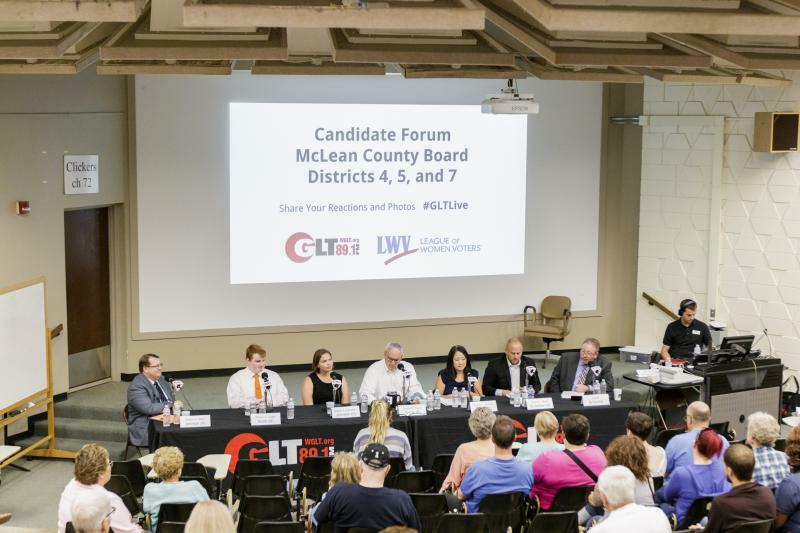 “That’s going to be a challenge,” said Caulkins, who holds a fundraising lead over McMillin. “It will require steady, reasoned adult conversations to be had amongst my (peers) in Springfield. The whole group. “They do work on things. There are bipartisan efforts, in spite of what you want to hear and read. There are going to be opportunities where both sides can come together and have a reasonable discussion and work on solutions for Illinois. We need to find a way to quit spending money we don’t have. We need to find a way to attract businesses and keep people and bring people back to Illinois in order to grow our economy and get this state back to where it was. “If you want money for social programs, that money has to come from somewhere. We’ve taxed our citizens to the max already. How do you get more money? You grow the economy,” he said. 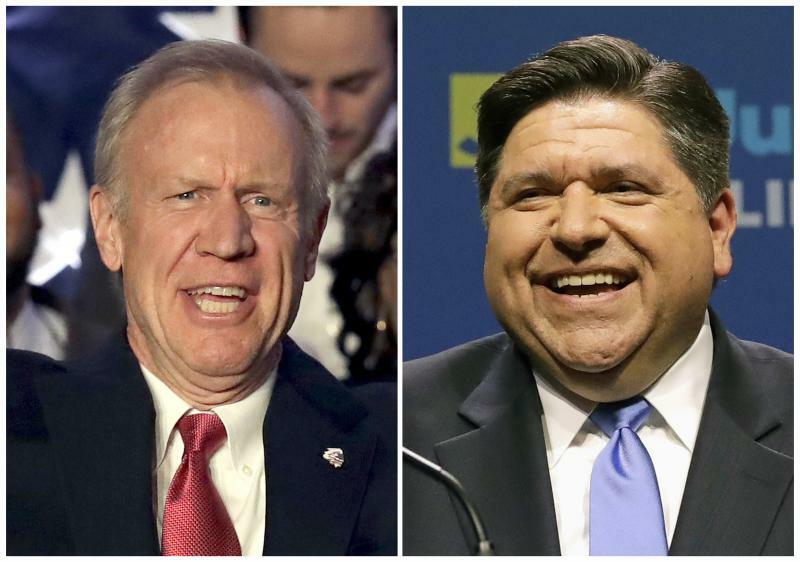 The candidates for Illinois governor clashed Thursday over taxes during their first televised debate. Democrat J.B. Pritzker says he wants to change Illinois' flat tax to a graduated system, in which the highest earners are taxed at a higher rate than middle-class and low-income households. But he won't say what the new rates should be. He says it should be negotiated with the Legislature.